Prof. van Duren's research focuses on the management issues that lie at the intersection of the business, economics and public policy disciplines. Her research encompasses competitiveness in the agriculture and food industries, economic analysis of food security, strategic management in food processing firms, food value chains and marketing boards. 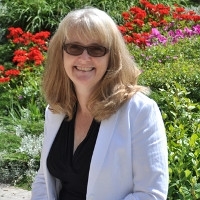 Her work has been published in Canadian Public Policy, Agribusiness: An International Journal, The International Food and Agribusiness Management Review, the Canadian Journal of Agricultural Economics, The Journal of World Trade and The Journal of World Competition.